Students at Palm Beach Day Academy begin a lifelong educational journey in a learning environment like no other. PBDA is rigorous and nurturing. Challenging and warm. Our thoughtful curriculum is informed by the latest educational research. Core subjects are taught by teams of two expert teachers – not a teacher and a teacher’s assistant — who prioritize creativity and critical thinking. 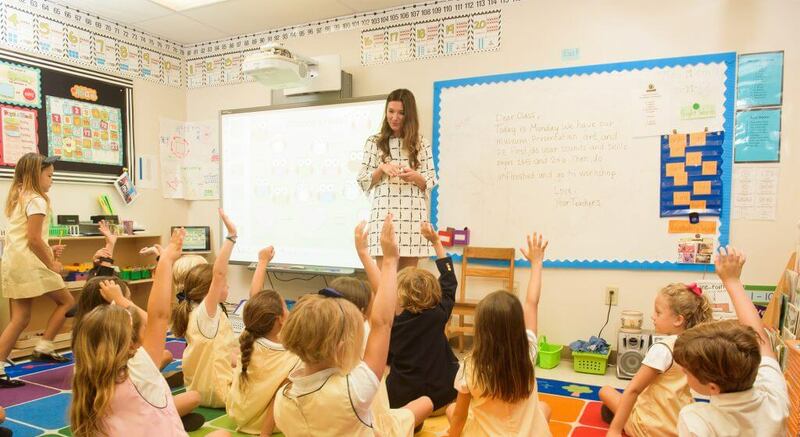 This investment in a true two-teacher model allows PBDA to provide instruction tailored to each child’s needs. Customized learning plans help each student achieve more. PBDA students participate in community service, age-appropriate public speaking and global studies from the start. We ask more of our faculty and students because we believe striving to achieve a goal is its own reward. This habit of mind prepares PBDA students for success in secondary schools of excellence – and life. Even more than our rigorous academic program, even more than our talented teachers, the sense of community PBDA families enjoy must be experienced to be understood. It’s created through many small, wonderful moments together: gathering on Fridays for Flag Ceremony and listening to little voices sing the school song; participating in friendly competition between PBDA Pelican and PBDA Flamingo families on Field Day; and watching in awe as your young child achieves more than you ever imagined. We support each other toward success and personal fulfillment, and, in the process, create a learning environment like no other. Achieve more academically. Our goal is to prepare every student for admission and success at appropriate, excellent secondary schools. STEAM – Science, Technology, Engineering, Arts and Math – is widely recognized as a vital approach to education. Achieve more with the right support. At PBDA, every student achieves more, regardless of learning differences.